The beautiful color of sky and the sea i.e. blue was introduced to the Wittians of Nursery. 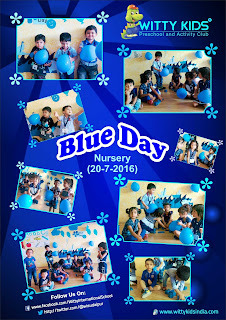 The class was beautifully adorned with blue color depicting blue waves, circles, fishes, balloons, and flowers. 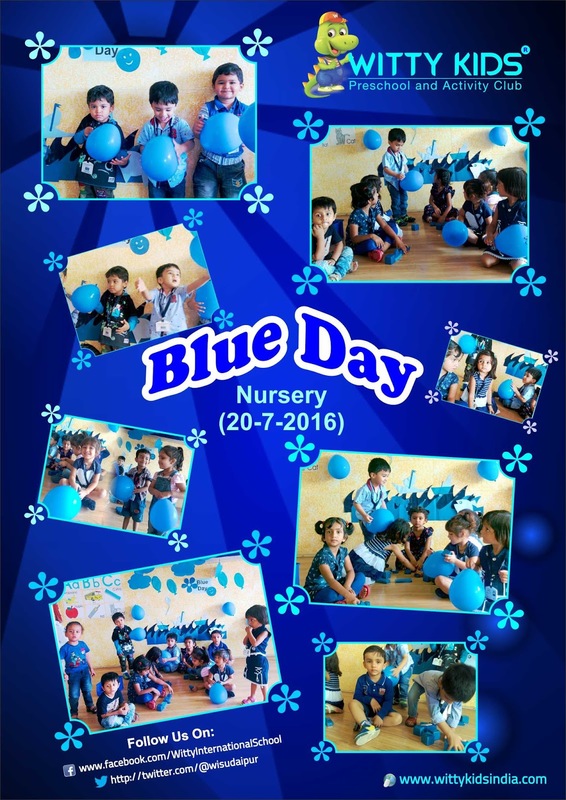 Both students and teachers came dressed in blue attire to intensity the beauty of the blue color. They enjoyed coloring the boat and waves blue in their book.